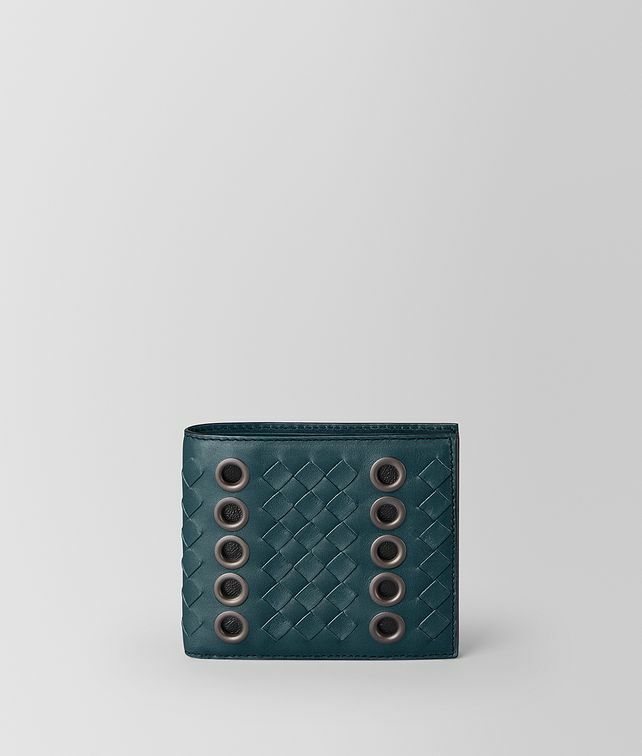 The classic bi-fold wallet is new for Cruise 2019 in the bold VN Eyelets workmanship. Crafted from sturdy calf leather, the style features alternating columns of hand-woven intrecciato and brunito-finish eyelets. Fitted with eight credit card slots and four compartments for organising notes and receipts.